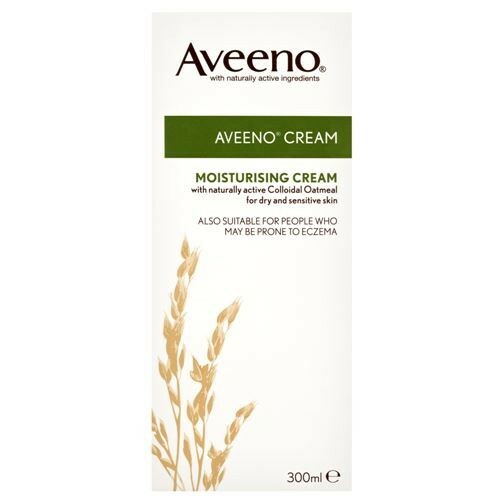 Aveeno Cream is formulated with natural colloidal oatmeal a powerful natural ingredient to actively moisturise dry and sensitive skin. Oat proteins leave a protective barrier on the skin which prevents water loss and helps maintain moisture. Colloidal oatmeal also soothes dry irritated skin. Combined with skin protectors it has been proven to relieve dry skin and associated itching. Regular use of Aveeno Cream helps prevent dryness and irritation caused by skin dehydration.